This profession takes skill and expertise. A sound academic aptitude and good communication skills are necessary, as well as a love and understanding of dogs. Canine behaviourists’ can find themselves in many unusual situations that require knowledgeable and sensitive handling. These professionals help to analyse and solve problems caused by the unwanted behaviour of dogs. Their approach is made through an experienced understanding of the psychology and behaviour of canines. Why does a dog chew the furniture? Why does it bark all the time? Why do some dogs show aggressive behaviour to other dogs. These are just a few examples of the issues canine behaviourists deal with quite often. Dogs need a leader. If the owner does not assume the role of leader, then the dog will. If a young dog is left with nothing to do, he will find his own amusement; chewing shoes, ripping the sofa. Boredom or anxiety are the reasons for most forms of destructive behaviour and should be corrected, not punished. The expert would advise that if a young dog is left for a short time, it should be in an area where there is nothing to chew but its own (safe and indestructible) puppy toys. There should be enough toys to keep the dog busy for the time it is left alone, putting pieces of food inside certain toys can give him a challenge he’ll love! Veterinarian surgeons may refer clients to behaviourists where they think appropriate. First veterinary surgeons will check that there is no underlying medical condition that may be responsible for the dog’s behaviour. Vets will also only refer clients to accredited canine behaviourists who are members of the Association of Pet Behaviour Counsellors and/or the UK Registry of canine Behaviourists. Once contact has been made, the canine specialist will record as much information as possible before visiting the dog, with its owner, at their home. When the behaviourist visits the dog at home, he gets an overall picture of the dog’s domestic situation and who’s in charge! Working with the owner, the expert will identify the problem, or problems, teach the owner how to take control of the situation and explain and demonstrate the solution. Once the cause to a problem has been understood, from a dog behaviour point of view, the solution can be presented to the owner and a suitable programme worked out . The key to corrective work with dogs is to understand why they do what they do. Cause and effect, problem, solution! Some problems may be sorted out with one visit from the behaviourist. Others will take longer. The aim of the behaviourist is to teach the handler how to deal with a situation, so that the bond and responsibility for the dog remains theirs. Correction of problems in the early stages enables dog and owner to lead a happier and calmer life together. 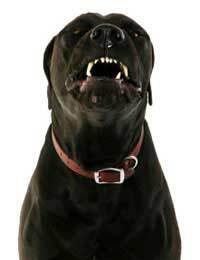 There may be times when the canine behaviourist is called upon, by the police or a court, to assess dogs that have bitten or even attacked people. To give knowledgeable reports and professional opinion in such serious matters (that may involve the Dangerous Dogs Act) requires good written skills and a competent representation of facts. It is also essential that canine behaviourists keep up to date with all the legal issues involving all dogs, pets or otherwise. What Does a Horse Whisperer Do?